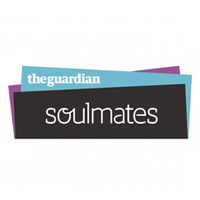 One of the biggest dating sites in the UK, Elite Singles brands itself as the site that attracts the elite singles. Their main target market revolves around those above their 30s. Elite Singles aims to have a community of aspirational people, where people from a higher income and education can meet each other through their platform. Their registration is both painstakingly long and detailed as it is strictly a matching site recommended for those suitable elite singles. Their core vision is, rather than spend most of your hours browsing through countless profiles, their own systemized algorithm pattern will do this for you and will deliver a list of matches suitable for you. Though this can save time, it can be albeit frustrating if you are unhappy with the relatively small number of results you may receive at one time. As said, the questionnaire you must answer if painstakingly long and detailed. With that, it is at times repetitive. Nevertheless, after you’ve completed the questionnaire you’ll receive a report of how well you ‘scored’ in the registration as a reward for your efforts. You can view this personality report in the profile section of Elite Single’s website. Though marketed and targeted for the elite singles, it’s common misconception that they don’t offer a free site- matter of fact, they do. There are also quite a few pictures you can enjoy as a free user such as; you can ‘smile’ at another match or you could send a first message. But, in order to communicate properly with your potential partners, you may need to purchase a subscription. And as you might expect from the name of the site, the subscription prices are a bit on the far edge of the price range. You don’t necessarily have to be a millionaire to subscribe though, the price for 1 month is just over £40. The site is owned and maintained by the Berlin based company Affinitas. They run a number of dating sites on the continent and many of them have been well established. Edarling is one most notable among their affiliates and has been trading in Germany since 2009. Even by using the site as a free user, you can see a lot of information about the other profiles already. This is an advantage that you can reap after spending more than half an hour or so registering for the site. Their personality profile becomes visible, whether they are open-minded or not comes into play, you’ll also be able to check their hobbies, their priorities in life, etc. In other words, if you’re more into the systematized algorithmic approach to online dating and only choosing those falling under your pre-defined criteria, then you’ve may just as well hit the jackpot in your quest. 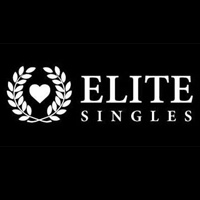 Overall Elite Singles proves itself worthy of being included to the list of mainstream dating providers within the UK. While branding themselves to be selective and aiming for the elite, they also attract the ‘right kind of people’ who are honest when it comes to their personal information and preferences as well as personalities. With the influx of information one can provide, those believing in the criteria based matching and algorithmic systems may be attracted to the site. However, beware, since the site is aimed at the elites and widely selected by the elites, the name also appeals to the gold diggers looking to get their fair share from gullible individuals. Be extra vigilant whenever using Elite Singles as they cannot monitor every single user of their platform. – High quality profiling and detailed personality system. – Profiles are full of information and details are at a high level. – They offer the option for increased security with an ‘ID check’ for the paying subscribers. – Repetitive and long registration questionnaire. – Viewing pictures of other members are prohibited unless you’re a premium member.